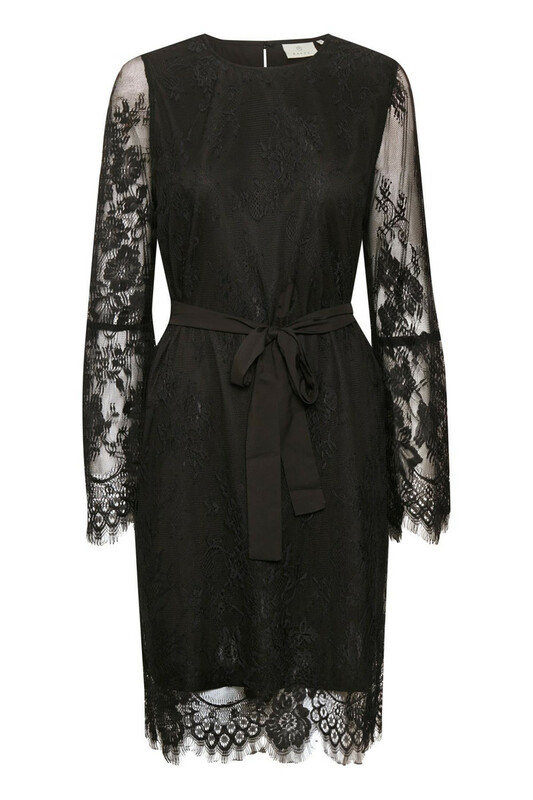 Beautiful and feminine lace dress from KAFFE. The dress has a round neckline with button closure at the neck, a regular fit and a length just below the knee. 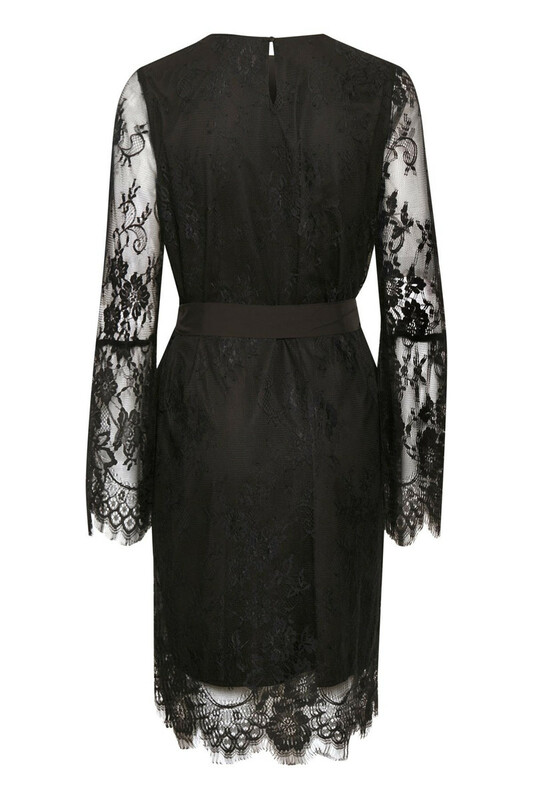 The dress has nice long sleeves with width and the dress has this elegant lace expression, which makes it an absolute classic. There is also a tie belt at the waistline. It is undoubtedly a perfect and comfortable dress for the season's many festive occasions.